Lots of hunters already depend on Armour® Fleece to keep them warm and light in the woods. 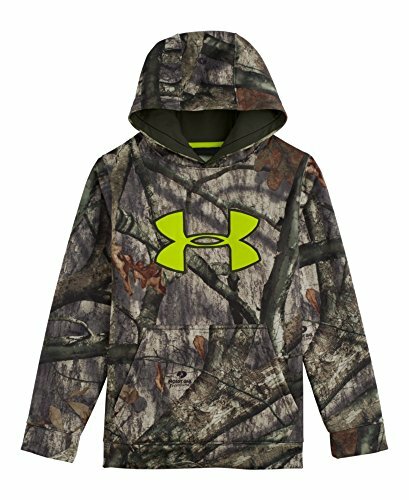 Well, now Under Armour`s taken that to the next level with exclusive UA Scent Control technology to keep you undetected. LOOSE: Full, loose fit for enhanced range of motion & breathable comfort no matter where your workout takes you. UA`s signature Moisture Transport System wicks sweat from the skin to keep you drier, lighter, and more comfortable than ever. UnderArmour`s revolutionary scent technology that combines synthetic Zeolites with the anti-microbial power of silver to trap and supress the growth of odor, helping to keep you undetected.